Nothing will boosts military personnel's morale like getting mail, but to get it there you need to know the Department of Defense issued guidelines for addressing mail to military and civilian personnel stationed within the United States and those Outside the United States, to include those deployed in Operation Iraqi Freedom and Operation Enduring Freedom. This article will give you all the details necessary to adhere to DoD guidance. 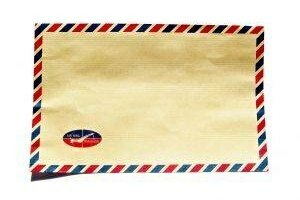 Address envelope with the service member's full name, including rank if known. The Department of Defense canceled the Any Service Member program, so mail must be addressed to a specific person, but you can contact unit chaplains here in the United States to adopt a soldier as a pen-pal. The service members rank is not necessary, and if you are not sure, it is better to leave it off. For mail going outside the United States include the APO/FPO (Air/Army Post Office or Fleet Post Office) address with the nine-digit ZIP code. 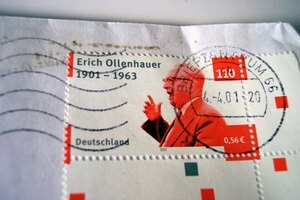 Example: APO AE is postal code for Army Post Office (APO) Armed Forces Europe (AE). Before mailing, ensure the following: return address is in upper left of envelope, sufficient postage is applied, address is clearly written in ink, envelope is not excessively bulky. 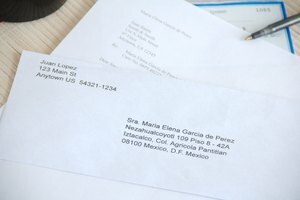 When ready, place envelope in the mail and understand that the U.S. Postal Service is only responsible for the mail until the military postal system gets it. Once the military has it, the time it takes to get to its destination depends on availability of transportation. Military Units are usually left off of mail leaving the United States so as not to give adversaries any unnecessary information about our troops. Writer, Contributing. 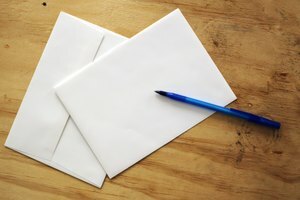 "How to Mail a Letter to Someone in the Military." 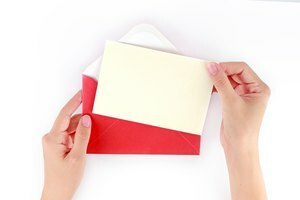 Synonym, https://classroom.synonym.com/how-to-mail-a-letter-to-someone-in-the-military-12079342.html. 29 September 2017.